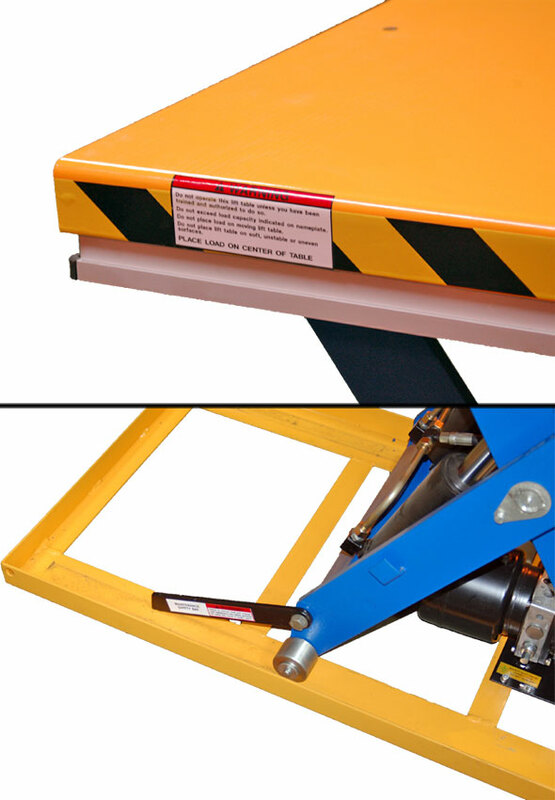 If you're in need of a lift table that's reliable, safe, and easy to use, these light-duty lift tables are just the ticket. Don't let the light-duty designation fool you - these tables are capable of lifting 2,000-3,000 pounds depending on the model. The light-duty designation is more of an indication of how much you plan on using the table. This table can improve worker productivity as well as reduce injuries by placing loads at an ergonomic working height. A heavy-duty 1.7 horse power lift motor will crank out up to 12 full lifts per hour with a very competitive lifting speed. The 2G model (2,000 lb. capacity) models feature 1 lift cylinder while the 3G (3,000 lb. 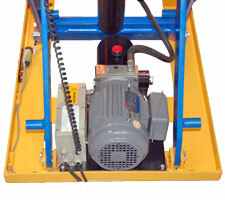 capacity) models feature 2 lift cylinders for increased lifting capacity. These units come standard with up/down hand controls and many built-in safety features. Full perimeter safety bar prevents descent on contact with an obstruction. Upper limit switch shuts off motor at full height extension reducing wear on lift cylinder and motor. Single acting lift cylinder with flow control prevents fast lowering in case of burst hose. Built-in Maintenance bar flips down to prevent operation while performing maintenance or inspecting table. Low Tension control box with up/down buttons. Control box also included electric circuit reset button in case of safety perimeter bar activation. Lifetime lubricated bearings on lift arms. Runs on a standard 15 amp circuit. 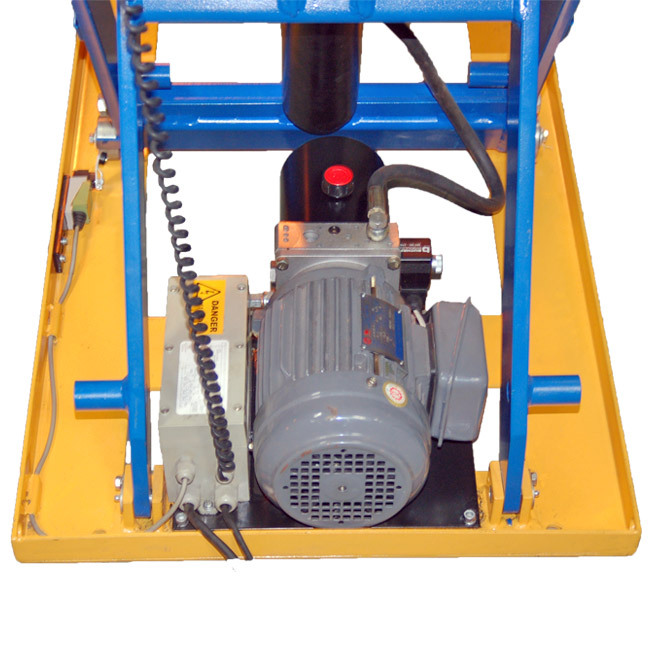 If you are interested in this lift table with additional features or a custom size, please call our custom sales staff at 320-485-4974. Roto-Max work positioner places loads at a comfortable working height, and allows easy repositioning as needed. 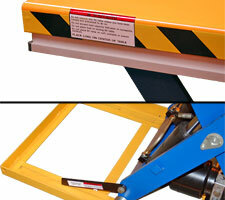 Heavy duty lift tables - safe, reliable and rock-solid. Using this tensioner, your steel strapping need not be cut to length so there is less waste. This kit has everything to handle your Polypropylene strapping needs. Light duty lift tables are great for low throughput lift operations.